April 19, 2017 by Edwin Reid·Comments Off on Looking To Sell Your House Fast? Real estate is a really fun industry, and I enjoy buying/selling as a real estate investor. But sometimes you just need to get rid of a property quickly, whether you need liquidity or there’s something wrong with the property. Traditional methods could be time-consuming, having to repair the home, get it cleaned up, hire a real estate agent, create a listing and wait, find potential buyers and show them around, and then deal with the haggling and buyers backing out or finding every little thing to reduce the price. It’s a very arduous process and can cost you a lot of time and money if you’re really just looking to off-load the property. There are a few companies that can help get rid of properties quickly. You’ve seen the bandit signs for “we buy houses” or “Christie buys houses” all over the place. These seem sketchy, and a few of the highest ranking sites on Google tend to actually be scams as well. 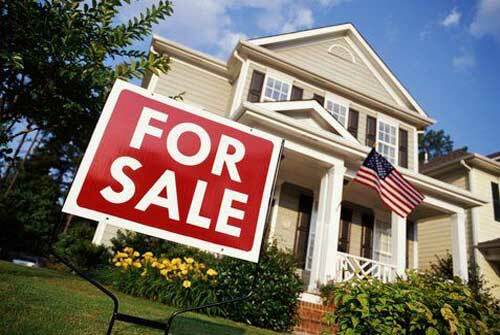 I’ll save you the trouble and recommend a service that I’ve been using – SellMyHouseEasyFast.com. This is a Houston local service that works to get you cash offers for your home in any condition as quickly as possible. How does this work? Well, they essentially have a network of real estate investors that are always looking to buy properties quickly and pay cash for them. These guys will basically act as a lead generator and ping the entire network of a house that’s ready to be purchased. The downside is that you’re not going to get top-dollar for your home, but you’re going to save on time and hidden fees, plus get cash in hand without dealing with appraisals and mortgage companies. For a lot of situations, I’d say this is a pretty convenient deal. If you’ve got a home that’s at risk of foreclosure, has water or fire damage, is simply vacant/inherited and you want to get rid of it, going through divorce, or relocating and need to sell it off quickly, check these guys out. They may be able to get you a pretty nice cash offer deal that will take the burden off from your shoulders. Let me know if you do try them, I’d like to hear how your experience goes.